After being the first to publicly announce his candidacy for the 2016 race for American Samoa’s seat in Congress, Tua’au Kereti Mata’utia has decided to call it quits. This would have been Tua’au’s third attempt to become the territory’s non-voting delegate in the US House of Representatives. He said in an interview with KHJ News last evening that he feels he should devote his time to his wife and children. 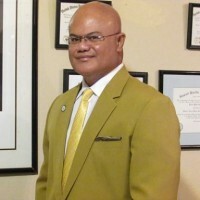 Tua’au’s withdrawal from the congressional race leaves only one male candidate Paepatele Mapu Jamias to face three female contenders: Incumbent Aumua Amata Radewagen, Vaitinasa, Dr. Salu Hunkin-Finau and Meleagi Suitonu Chapman. KHJ News asked Tua’au if he was going to endorse one of the candidates.